VISHUDDI is located at the throat and related to expression and communication. The THROAT Chakra is associated with aqua or teal blue. Space is the element of VISHUDDI but the THROAT CHAKRA is also related to sound. Space opens the possibility for expansion and distribution and sound is propagated into the air by vibration, both are felt with our whole body. VISHUDDI is the Chakra of Awakening! In the THROAT Chakra, we have the ability to purify any and all toxic disturbances from the external world. VISHUDDI is the activation point where the 7 Chakra system is granted the full potential and wisdom to elevate consciousness as this is where energy from the lower chakras connect with the head. The THROAT Chakra Lotus blossom has 16 petals representing the 16 Siddhis or supernatural powers that one can attain through Yoga. The Subconscious: emotionally charged language to The Conscious: ‘whole’ communication. The inverted triangle of the THROAT chakra symbol is symbolic of spiritual growth. The downward position is affiliated with the gathering of information from lower chakras to make this evolution possible, while the widening upward signifies enlightenment through purification. VISSHUDI’s animal is Gaja, an elephant. Elephants carry past knowledge of earth, herbs and plants. Through this deep history, Gaja is revered as a teacher of patience, memory, self- confidence, and the unity with nature. The transcendence of human consciousness is itself an act of purification. VISHUDDI employs you to practice purification for communication and expression. When words come to the THROAT CHAKRA they are infused with all of our emotional junk of MANIPURA our unconscious and subconscious. If the origin of speech is is fire, it is in the THROAT CHAKRA that the burning finally ceases to reveal pure and whole communication. In VISHUDDI, we become conscious and take on the beautiful experience of self- discovery. Do not shy away from the discomfort that accompanies your penetrating questions. Sit with your answers. Question them again. Do not be fooled. Purify your history: challenge the impressions bestowed to you from your heritage, change the perception you hold inside of yourself and the nature of your self-talk. The THROAT Chakra emphasizes authenticity in expression and the distribution of your creativity into the world according to Satya. VISHUDDI is associated with the expression of yourself: Your truth, purpose in life, and creativity. In order to understand the spectrum of your creative process, it is critical that your MULADHARA is open. link. A Balanced VISHUDDI has the greatest gift and that is the Power of Persuasion. When the THROAT Chakra is open and balanced, you are able to express yourself clearly and honestly regardless of the situation or company you’re in. An imbalance in the THROAT chakra can adversely affect many aspects of your personal and professional life. Perhaps, you long for realizing your dreams and living with a strong and clear purpose, but seem to not be able to quite get there. You may find you avoid social situations and are more comfortable alone. You may become distrustful of your inner voice, or conversely alienate others with an uncontrollable mouth and venom-like words. 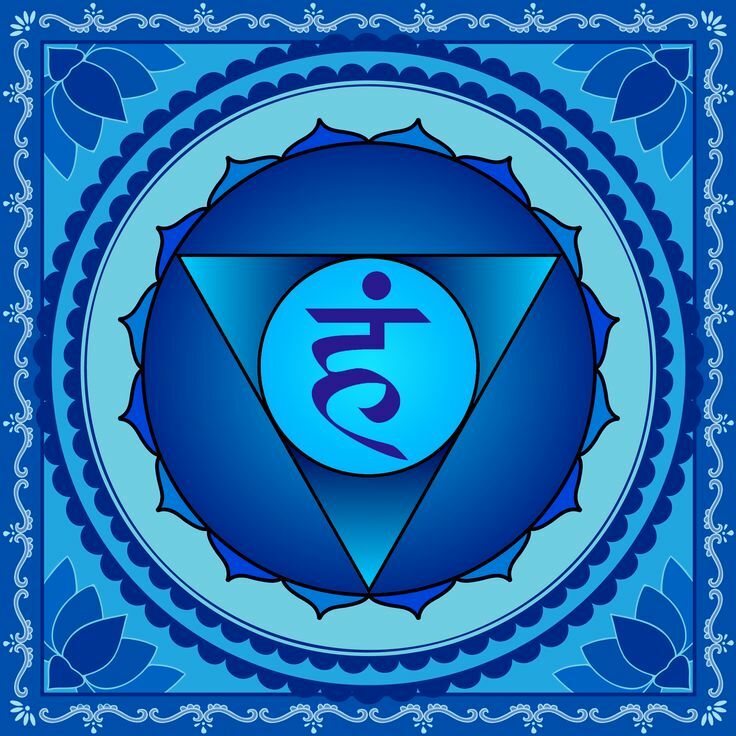 The awakening attributes of the THROAT Chakra give you the power and freedom to recognize the painful damage that language can cause to you and others. Your speech is filled with your history and emotional pain. You can literally swallow negativity and hatred from others. Your consciousness and subconscious comes in direct contact with poison. VISHUDDI is a purifying machine with an INPUT & OUTPUT. INPUT (Rendering): all unspoken, unarticulated and uncontrolled thoughts, emotions, desires, perceptions, and words. Meaning you must actively purify the thoughts that birth words BEFORE they arrive to the mouth. Like any machine, it can can go into overdrive and the likelihood of blockages and/or descending into lower chakras, namely the MANIPURA, the SOLAR PLEXUS Chakra will increase IF you do not do this. Put your perceptions through hell. OUTPUT (Clarity) : energy that flows freely through the throat chakra promotes effective, truthful communication. You are able to find yourself. You are confident, responsible, and easily find words to express your thoughts. We undergo our most complex relationship lessons from childhood, and ironically this is the time when we are most unable to express ourselves and/or understand what we are experiencing — but that does not mean we are unaffected. Many of these traumatic experiences stay with us and become complexes that we carry into adulthood. They are irrational and right there under the surface ready to explode. Why would we have negativity or hatred in our speech. Here are 3 ways to cope with insults and disappointment from the past, particularly childhood? Feel deeply connected to every experience as an opportunity for you to grow from. Have objectivity when you reflect on the past, and empathy for those involved. It is critical that you do not repeat the emotions you had when you were at the center of the experience. Empower yourself. Rise to the present. Build a mantra that establishes the truth: you are not bound by the past or any of those circumstances that brought you pain and hardship. No one is. A blocked VISHUDDI often blinds people from their own mistakes and will give them the false sense that their misfortune and unhappiness is to blame on someone else. You could become stoic, quiet, and fearful. You may feel as though there is something very strong, almost stronger than you, interrupting your ability to communicate. It could be a fear of what others may think of you. The worst detail of a blocked THROAT Chakra is that, the condition of not being able to communicate inevitably increases the insecurity and isolation that hindered your communication in the first place. An overactive THROAT Chakra can seem as though the thread between what is in your mind and what comes out of your mouth is missing. This can significantly impact your relationships and ability to function overall. You may not know when your THROAT Chakra is overactive, as society, particularly in matters of business, often rewards those who are the most vocal. Highly critical of details that have no appreciable impact on your life. You are committed to the stories you’ve crafted about others. You may even speak negatively about yourself and others to the point it borders on verbal abuse. Before you begin working with the THROAT Chakra: be certain you are ready to look in the mirror. Work with ANAHATA to master Self-Love. In this process of self-investigation we lift the veil that blinds us. We accept responsibility and stop blaming others for events. Nothing can plague you that is not already found in your Karma. Nothing “bad” exists except that you have called it that. It is precisely the qualities we condemn in others that we have in ourselves. You can also use the sound “HANG” to assist in meditation for the THROAT Chakra. Make an oval shape with the lips and push the sound out using as much breath as possible from the base of the tongue, using all the space up until the palate. In most cases, positive lifestyle changes help immensely. Asana: see poses below that will help open the THROAT Chakra. Learning to let go: Letting go is difficult, but holding onto things over which you have no control is deadly. You do not have to be your greatest torturer! Releasing negative emotions can help restore balance in the throat chakra. Consulting and trusting your inner voice: Practice MAUNA. This is simply practicing the art of silence, or when silence is not possible, using fewer words than more. With friends it is easy to be pleasant and use beautiful words, but to treat strangers or adversaries with kindness and compassion is a great virtue. Practicing being open with close friends and family: Make it a point to be open and honest with all you say. It’s perfectly fine to start small, but do not avoid vulnerability. Simply speaking in a heartfelt way can work wonders to strengthen and balance the THROAT chakra. Prānāyāma: Through the power of the breath, you enhances the purification power of the VISHUDDI Chakra. Your Shakti grows and your consciousness and subconscious are harmonized. You are one step closer to enlightenment. Write down your thoughts: Learning how to freely express yourself without interrupting your stream of consciousness can be helpful in restoring balance to your THROAT chakra. You can let it sit on the page instead of festering in your heart and manifesting in repressed communication. You don’t even need to re-read that which you have written, but it will be there if you wish to do so. Work with a professional: Begin psychotherapy and/or seeing an energy healer. You can begin with simple neck movements, such as moving you head from side to side, up and down, forward and back. These movements expose the THROAT, stretch the skin, increase blood flow to the area and can ease tensions blocking the THROAT Chakra. When the THROAT CHAKRA is awakened and balanced, the mind and body work collectively. You have the pristine combination of confidence and humility. You learn to communicate about emotional details patiently without “explosions.” When balanced, the throat chakra produces reality from imagination. Step 1: Create a Blue-Print for your life. Did you take it? Did you make your changes, stick to your word like you said you would. It’s been four weeks, what can you say you have committed to since then? Do you feel lost, like you need direction? Is it hard to stay focused or keep your eye on the prize? I’ve made a 12-step approach. Lookout for #loyalty, next in the series. The number 12 represents a full cycle of experience and the possibility of regeneration toward a higher-consciousness. 12 represents the learning process and warns of the necessity to be alert to every situation, reminding you of sacrifice as a means to acquiring knowledge and wisdom on both Spiritual and Intellectual levels. We all have our blueprint, our own program that we bring with us to this life on Earth. In order to become fully balanced, we will have to return to our most basic program. Find quiet time. Sit with yourself, and stay long enough to hear all of your worries and mental chatter play out without any busy body movement to distract you. Close your eyes and see what silence looks like. Who in your world is invaluable? How can you be more present and grateful for the life that you have? What do you wish you could be around all day long? How can you explore your heart’s inspirations and be financially stable? How can you be more you and less what the world is demanding of you? It can be said, “If you don’t know where you are going, any road will take you there,” but the logic in me wonders about specificity. How can we be purposeful, efficient, and exacting if we’re spread in so many directions? Can we do a task well if we’re always multi-tasking? The energy of a blueprint helps you purify your ideas, deletes the constructs that don’t suit you and releases what no longer has a purpose. Through meditation, or even reverse engineering and process of elimination – you shall get closer to defining your blueprint. It’s shape, color, and purpose. This is the structure your efforts need, this is what will outline, support, and define you as the master of your project. LET THESE PHRASES SIT SIDE BY SIDE IN YOUR MIND, OR A BLANK PIECE OF PAPER. – put a notepad and pen near your bed. Living a life of “have-to” is draining. We get tired without creativity or fulfillment. We think our problem might be our relationship. We blame our job. We think this feeling has something to do with our geography, or because we need to exercise and eat better. It’s drinking, it has to be. We talk about the past because we don’t know what present happiness looks like. We’re too removed. It’s been so long. We buy things that give us a sense of leisure, comfort, or beauty, because we have lost the will to generate it on our own. We buy tons of convenience products with the hopes that life will be made simpler and grant us extra time to rest, but do we ever rest? Do those items of convenience actually take care of our needs as they originally promised? Do these sound familiar? Make your blue-print. This is your imprint. The impression you leave with yourself -in this short time you get to be alive.